One beautiful morning during the breakfast/social hour at our comfy Airbnb in Ubud, our hosts eagerly asked if we had any plans the following Friday. Fortunately, we had zero (re: travel burnout realized with a closet) and agreed to accompany them to a Royal Ngaben Ceremony. Confused by my fancy local words yet? I will explain. A Ngaben, or Pelebon ceremony, is a traditional Hindu-Balinese cremation ceremony to send the deceased into the afterlife while showing respect to the family and the local community of the deceased. This one was going to be very special. 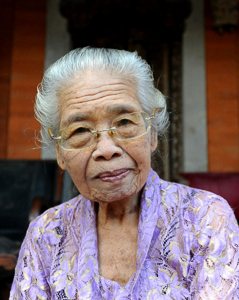 It was to honor Anak Agung Niang Agung who was the second wife of the King of Ubud and passed away on January 14, 2018, at the age of 96. According to our hosts, she was known as a real “spit-fire” and advocated for women’s rights and education throughout Bali in her day. 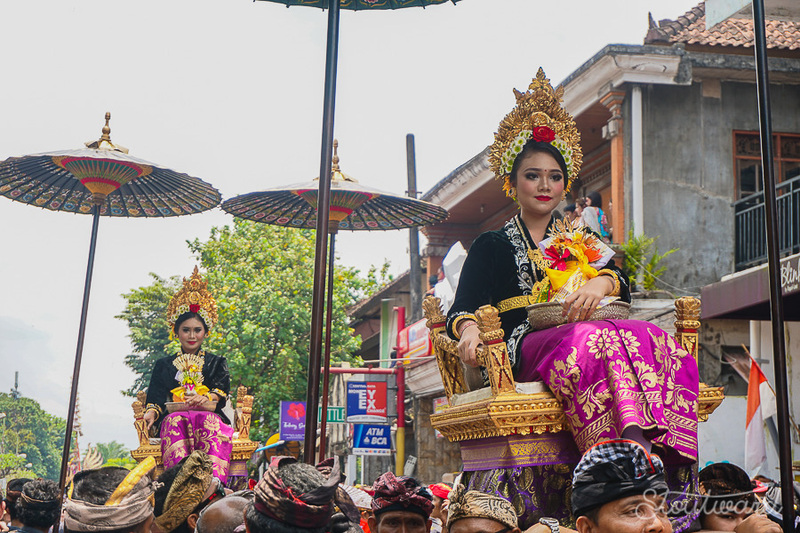 I quickly got on board with celebrating her life with the thousands of other locals, tourists, and the rest of the royal family, which made it the largest Ngaben in Bali history according to Indonesia’s Tourism Ministry. We were fortunate enough to stay about 100 meters (I have fully adopted the metric system at this point. Get used to it.) away from Ubud Palace where the ceremony would begin. 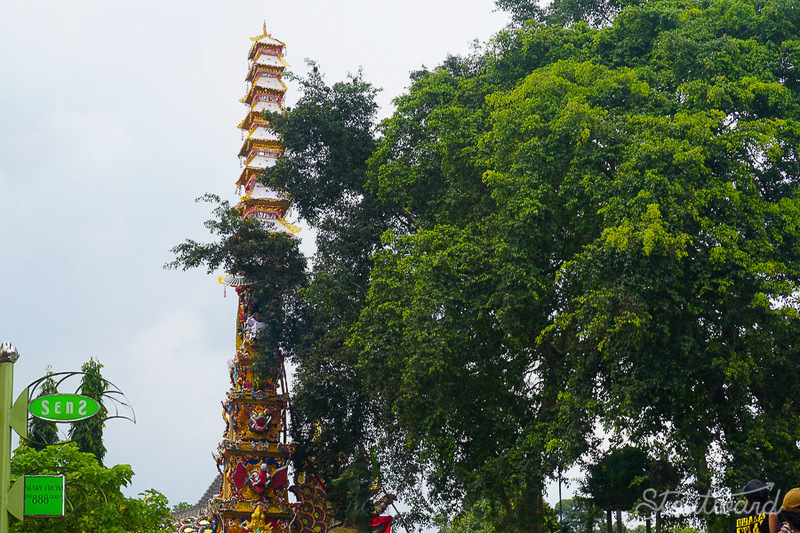 In the days leading up to the ceremony, we had watched dozens of men gather to build a Bade—a cremation tower—25 meters tall with a giant ramp leading up to a small room near the top. 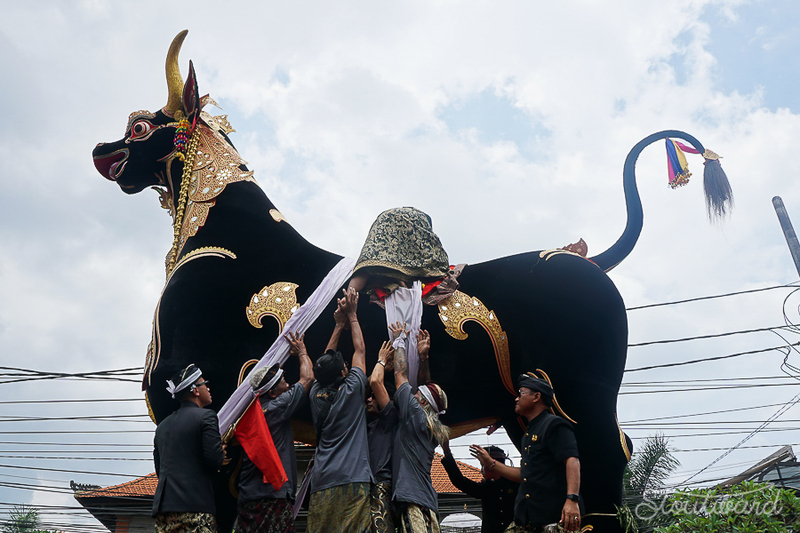 Around the corner from the tower, a Lembu—a giant bull figure nearly 8 meters tall —waited for the day of the ceremony. Both giant figures were built on top of a series of huge bamboo grids that allowed for crowds of men to carry the structures through the streets. The morning of the ceremony, we bought sarongs to wrap around our waists, drank as much water as we could, and slathered on sunscreen in preparation for a very hot day. At noon, we stood near the tower and watched as a boxy coffin was carried up the giant ramp and placed in the tower. Then, things got crazy. Not pictured: Rivers of sweat under all the sarongs. 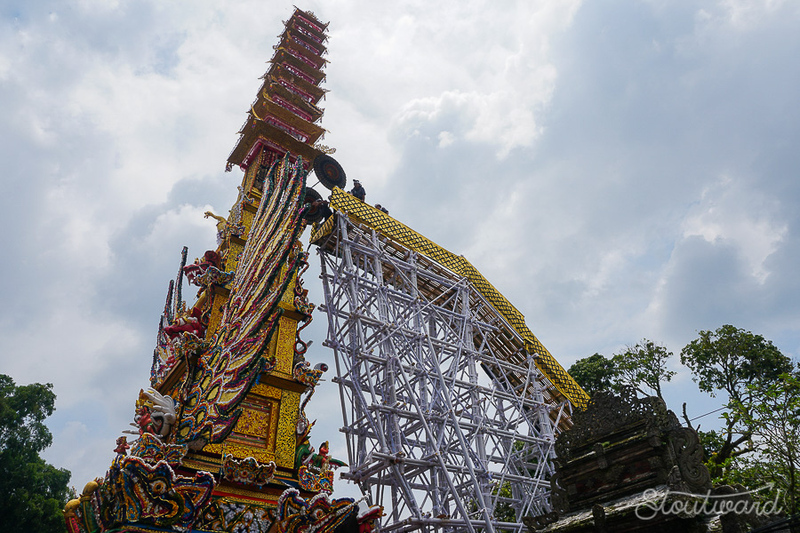 The giant bull was moved in front of the tower to scare off any demons that may follow Anak Agung Niang Agung into the afterlife. Chanting began, then a cohesive sound of “umph” echoed through the crowd as dozens of men lifted the giant bull and the huge tower simultaneously and began running (I repeat running) down the road right toward us. We scattered with the crowd and then turned and ran alongside with everyone as a unit. However, it was just a few moments of running before we realized the bull and tower had halted for what everyone assumed was a rest break for the several men carrying it all. 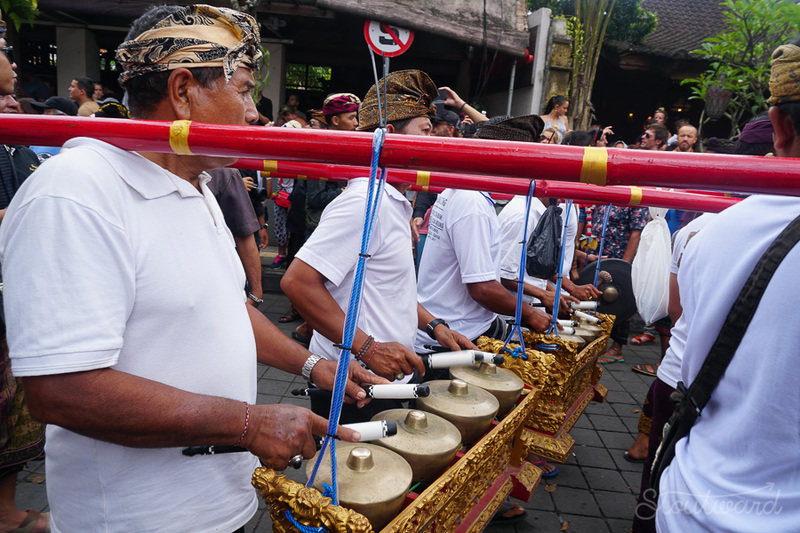 Seemingly from nowhere, crowds in traditional Balinese clothing appeared and a parade began ahead of the bull and tower. Tower and bull taking another break as we get farther ahead. Women dressed in brightly colored lace tops carried baskets of offerings for the deceased. Teenagers in sarongs and checkered jackets carried spears and chanted as they marched down the street. Men wearing all white marched and played metal drums that hung from bamboo sitting across their shoulders. And random locals joined in the parade too, carrying small offerings they brought with them. 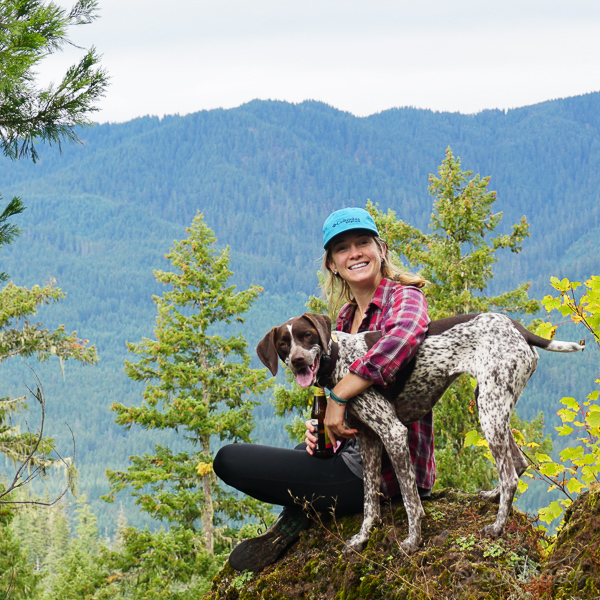 We walked alongside the locals just taking it all in. Although the intention of the parade was a little gruesome—to burn a body—the local people were buzzing with a happy, lively energy. They smiled and nodded at us and even posed for photos. Again, the bull and tower began running toward us, and again they paused for another break shortly after. 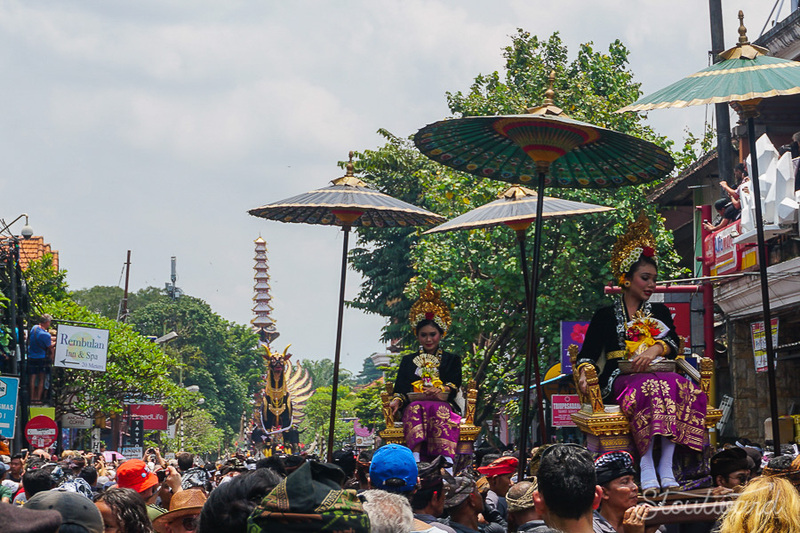 The parade didn’t march forward like a traditional parade at home.Instead, this procession alternately lurched forward and halted abruptly until it eventually made it a mile across town to the Dalem Puri Temple. Once here, the tower was pushed through some tree branches (remember, it is nine stories tall) and leaned up against another giant ramp. The body was removed from the tower, carried down the ramp, and placed into the body of the giant bull to be set on fire, allowing the spirit to float up into the universe. Power lines, branches, and awnings were all cut or broken to make the ceremony possible. Unfortunately, by this time we were overheated and exhausted so we left before the bull was set ablaze, as did much of the crowd. Afterward, I found photos online and saw that the bull burned over a few hours. The whole day was an amazing spectacle of organized chaos. 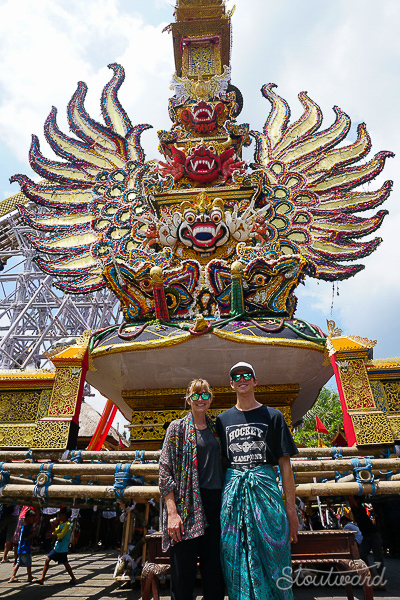 We were so lucky to be in Ubud to witness a ceremony of that magnitude and will certainly never forget running from enormous bull statues charging toward us. This ceremony is such an incredible reminder of why we are on this adventure. We are experiencing things we never could even imagine! Are you interested in attending a Ngaben ceremony? 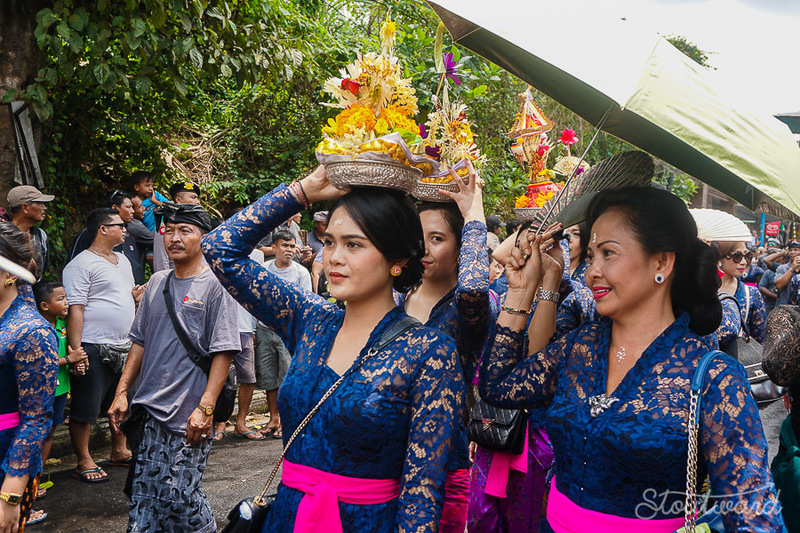 Smaller scale ceremonies take place almost monthly so ask locals in the Ubud area and you may be lucky enough to attend one.